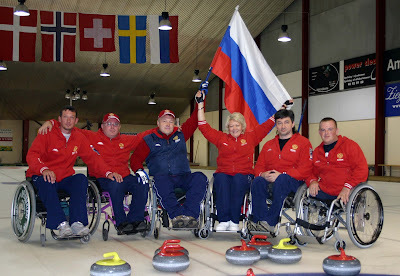 Team Russia, who will be hosts at the 2014 Winter Paralympics, are prepared to travel to gain the necefssary experience to succeed at the 2010 World Qualifying Tournament. Late-comers to a international competition selection system that rewards longevity, Russia won the season opening International Bonspiel in Denmark, and impressed Norway's coach Per Christesen enough for him to comment that they were likely favourites for qualification to the 2011 Worlds next year. The team is hoping to visit Canada prior to the Paralympics and is looking for opportunities for competitive play.